Well, I made that up. But it sounds ok, doesn’t it? 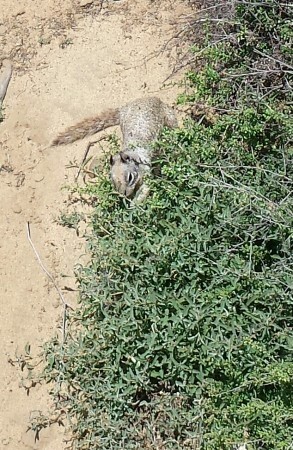 These guys are often out on the cliffs and this is one of a pair that has a burrow right near the stairway. 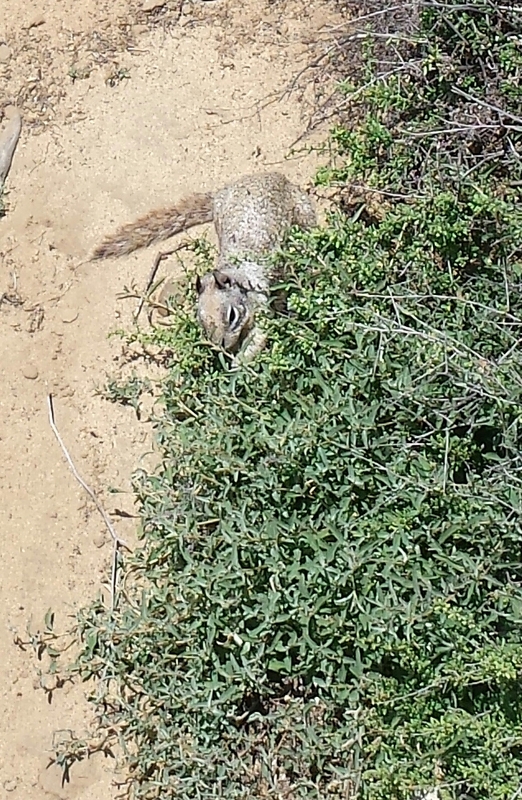 They seem to embody the very definition of “busy.” Neither heron nor sea lion was present during our 2.5 mile walk today, so squirrellus is our next critter to be featured. We went to friends’ house for dinner for the first time. They have cats and a grand piano and a hammock on the patio and fed us margaritas and appetizers and homemade Hungarian noodles and chicken in a marvelous sauce and wine and palascinta for dessert. We rolled away full of good conversation and good food. I had a friend over for lunch yesterday and we are having brunch tomorrow with two of our downtown friends. So my extrovert social requirements are being satisfied nicely. Do squirrels socialize?